Belvedere Designs: March 2016 Customer Photo Winner! March 2016 Customer Photo Winner! 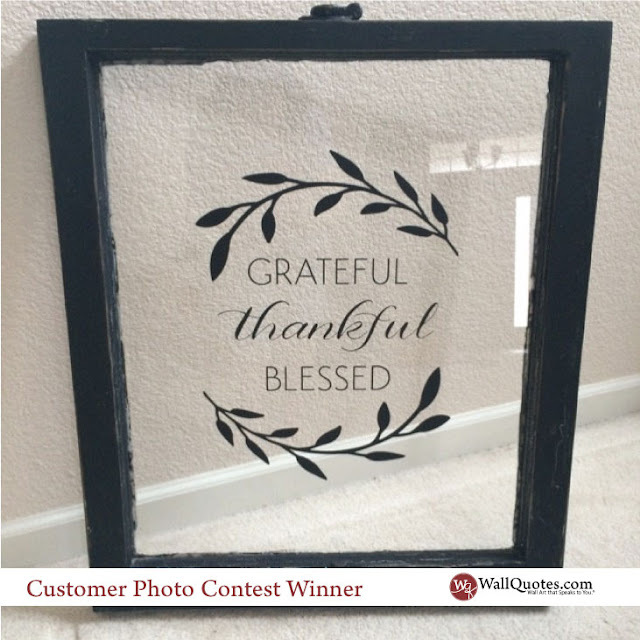 We received this photo from Tina who put her new Wall Quotes™ decal - Grateful Thankful Blessed - on an old window! This is a GREAT idea especially for those of you in an apartment - take your quote with you when you move! She ordered the 16" x 12" size in Black and I think it is the perfect size for her window. It's definitely a statement piece!